We love bags which offer unique and cool ways of holding your goods, not to mention storage options for people with busy, tech driven lives. 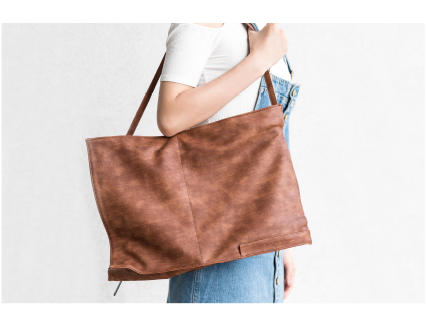 So when our friends at Allocacoc reached out to us to tell us about their fantastic new ‘Foldbag’ we simply couldn’t wait to hear all about it! Allocacoc offer a great range in cutting edge, stylish gadgetry and lifestyle goods. We loved their Powercube which offered a compact means to powering a range of your peripherals. We were intrigued in comparison to see how the geniuses behind the cube and other groundbreaking goods would approach an item as common as a shoulder bag. It’s fair to say we had no idea of just how amazing it would be. The genius behind the Fold bag lies in it’s simplicity and adaptability. Incredibly within one stylish, modern fashion bag lies 4 individual bags which are easily created by simply changes in the bag’s design. On top of which all of them offer secure storage for a wide range of items. These four bags are also considerably varied from one another. Within the Fold Bag you can alter the design to create a Tote, a Shopper, a Purse and a Backpack as well! We were keen to see just how easy this would be to switch between bags, but we needn’t have worried. Switching is incredibly simple via the integrated bag strap. 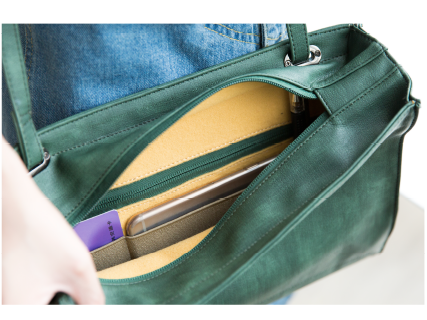 By simply folding the Fold Bag you create a purse or shoulder bag which easily fits your laptop, tablet or reading materials. What’s also great are the magnets which helpfully keep the altered bag in shape! We were particularly impressed with how sturdy these are and offered peace of mind when transporting goods. Then if you want to convert into a backpack you can simply slide the strap and convert it into two shoulder straps, allowing you to carry more weight on your shoulders! At 30cm x 43cm when fully extended you can carry a fair size item within the Fold Bag and we were also really impressed with the storage space. Within the bag there’s three individual storage compartments which help keep your own goods organised and easily reachable. Something which is hugely handy when you need to grab a certain item or wall/purse when you need it most. But for people carrying expensive goods such as tablets and smartphones, pickpockets and bag theft can always be a worry. So it’s incredible to see Allocacoc have thought of this too! Not only can the integrated bag zipper be concealed but you’re also able to flip the whole thing upside down hence laying the opening at the base of the bag. In doing so making it far more difficult for pickpockets to pick. 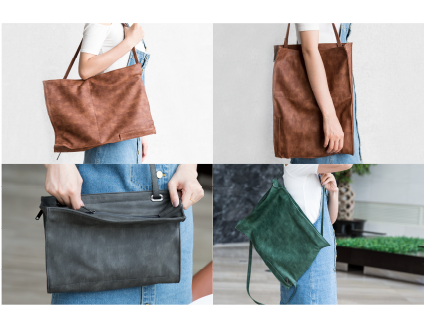 The guys at Allocacoc have also put together a wide range of colours within the Fold Bag build material of PU (Polyurethane) leather – a material which offers a similar texture to leather. So you can customise your look whilst ensuring your items are kept dry and sturdy within the confines of the Fold Bag. All in all we were astonished by how great the Fold Bag was. It offers everything you could want from a bag and so much more – let alone it combines four bags in one.